Angeline here to share with you the NEW Stamp of the Week (SOTW) "Just as you are". 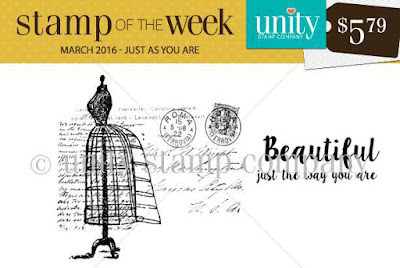 Here's a card I made using this stamp set, which has a gorgeous vintage dress form. Get yours today for only $5.79/week! Sign up for the SOTW here.